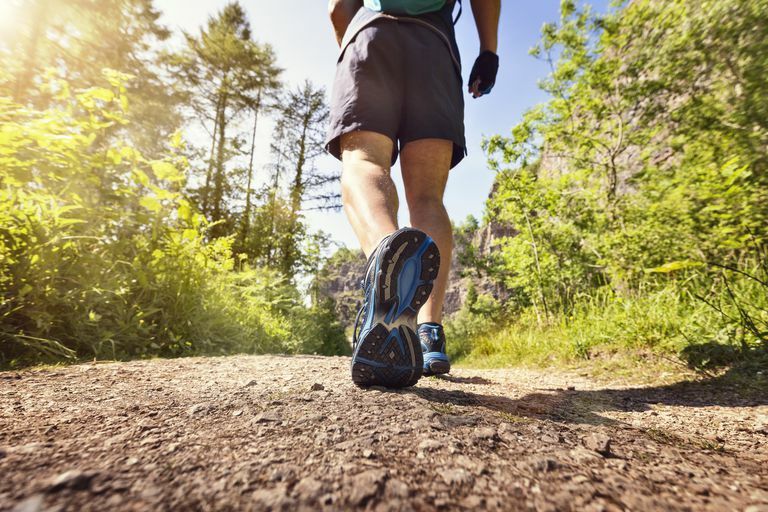 You've probably heard that you should walk 10,000 steps per day for fitness and weight loss. How did they come up with this amount? Is this a fitness myth or is there any research that shows that it works? Walking 10,000 steps per day for health and weight loss was popularized originally in Japan. Pedometer researcher Dr. Catrine Tudor-Locke says the original figure was not based on medical research. Several researchers have been playing catch-up on this, including Tudor-Locke. Research studies show that 10,000 steps per day isn't a magic number, but it is a good indicator of how much activity a person is achieving in a day. Walking more steps per day is also associated with being thinner. A study of steps per day and weight, body mass index (BMI), and other indicators for men and women showed that the people who logged more pedometer steps per day weighed less, on average, and had a lower BMI. Most weight loss programs recommend burning 200 to 300 calories per day in moderate to vigorous exercise. If you walk 10,000 steps per day with 3,000 of those steps at a brisk walking to jogging pace, you should be burning enough calories. The number of calories you burn by walking depends primarily on how much you weigh and secondarily on your speed of motion. Each 2,000 to 2,500 steps is about a mile. Walking a mile burns about 80 calories for a 150-pound person. Depending on your weight, walking 10,000 steps burns between 250 and 600 calories. You can use the pedometer steps to calories converter chart to estimate this for yourself. You will need to know your approximate steps per mile. Everyone burns calories just sitting and breathing, which you can estimate with the calories per day calculator. You burn more calories per minute when you get up and walk, and even more if you run. Many pedometers estimate the calories you have burned based on your walking step count. Activity bands and advanced pedometers such as Fitbit also take into account how fast you are walking or running when estimating the calories you burn. If you are already logging 10,000 steps a day and not losing weight or maintaining your weight, then the key is to add another 2,000 more steps per day while eating the same amount or less. You can use many tips to find ways to add more activity throughout your day and to set aside time for dedicated moderate to vigorous intensity exercise. If that still doesn't work after a couple of weeks, add more steps or eat less. Logging more steps becomes time-intensive at this level. You can burn more calories in the same time period by increasing your exercise intensity, taking more of your steps at a brisk walking or running pace. You should also work on eliminating empty calories and getting good nutrition from everything you eat. A food and exercise diary can help you spot where to make improvements. One study found that postal workers who walk 15,000 steps per day and spend little time sitting were more likely to be thinner and have fewer cardiometabolic risk factors. An inactive person takes 3,000 steps or less just in their daily activity of moving around the house. If you take 10,000 steps, you are walking approximately five miles of throughout the day. Unless you have an active job, such as a waitress or nurse, it would be difficult to log 10,000 steps with daily activity only. Most people achieve 10,000 steps by taking one or more sustained walks or runs, the equivalent of 30 to 60 minutes of walking per day. That equals the minimum daily exercise recommendation from most health authorities to reduce health risks. Many advanced pedometers, fitness bands, and smartwatches detect whether or not your movement is enough to be considered moderate or vigorous exercise. Many designs track your exercise minutes per day automatically to show whether you are meeting the goals needed for fitness and good health. A step count goal can motivate you to increase your activity and exercise. Today, you don't even need a separate pedometer, as your mobile phone tracks your steps taken while you carry it. You can check a pedometer app instead. If your goal is weight loss, consider using a food log or app as well to see where you can modify your eating habits. Tigbe WW, Granat MH, Sattar N, Lean MEJ. Time spent in sedentary posture is associated with waist circumference and cardiovascular risk. International Journal of Obesity. 2017;41(5):689-696. doi:10.1038/ijo.2017.30. Tudor-Locke C. Steps to Better Cardiovascular Health: How Many Steps Does It Take to Achieve Good Health and How Confident Are We in This Number? Curr Cardio Risk Rep (2010) 4:271–276.